Just saw this ROOF RACK on CL in Jamestown, NY. May be a scam, but if not... that's an amazing deal! ...or the PO envied the terrorists' bus in "Back to the Future". So you're saying that the DeLorean "Mr. Fusion" kits fit the 68 Chevelle as well? I'm calling SCAM as I see it listed all over the USA on different sites for the same or slightly different prices. First red flag for me was no phone number ! spotted this a few days ago. not in driving condition, owner says it needs a new alternator. Im not into late, but the price is interesting.... actual number so I believe its real. Sambastic: adj; the quality of being nit picky, elitist, expecting everyone to do things the way they believe is best with no regard to situation, "sambastic"
1976 Riviera, my 1.8l FI chrome yellow VAN - "Chloe"
"I must say, how can you be in a bad mood driving this vehicle full of vibrant color. Agree. It looks solid for sure! ...but if you live in California, it DOESN'T require the smog test! I sure wish my Riviera was a pre-1976 model. It would make life so much easier. Now THERE is a Type 4 engine with proper dual carburetors! THAT would have saved you a few months of parts hunting! I was thinking that looked like a pretty good deal when I saw it. If I were in the market and near by, I'd go see it for sure. I pulled two 69' bays off an organic "pharm" two days ago. My wife couldn't say no because they were free! I pulled both buses by my mechanic friend and he had one motor running after 20 minutes! It had been sitting for 11 years. The other motor was not seized as well! It's all there, the motors, trans, keys the rusty holes, black widows and wasp. Any suggestions or tips would be appreciated. Sorry for the ramble but I'm super pumped as these are my first two VW. Can't stop thinking about the possibilities. 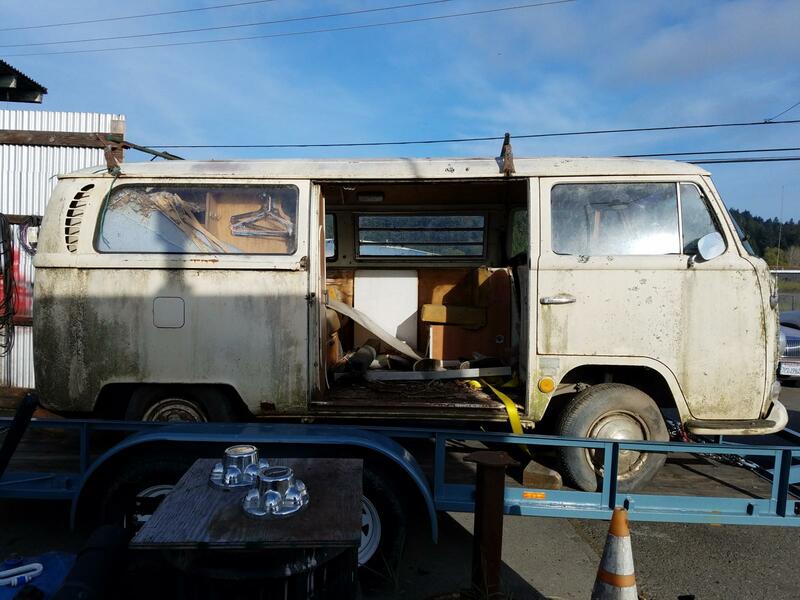 Two free VW buses! ^^ Nice! You should start your own thread in the Bay Forums! 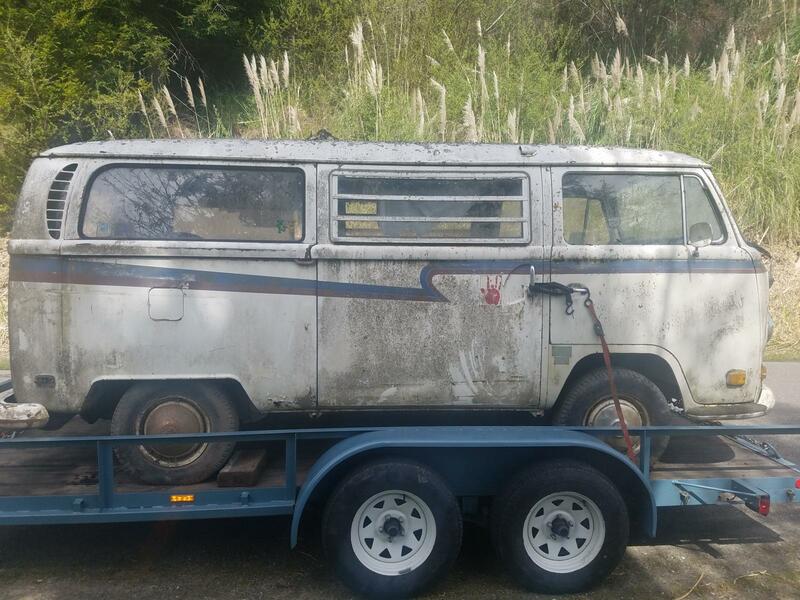 My 1968 Campmobile She is drivable again!